Who does not like shopping, every one of us loves to hang out in the malls in order to see and buy the stuff we are in need of. Shopping is not restricted to a class or gender, it is seen that boys are also tangled in shopping as much as girls. Even if it is not elite class, mediocre also seeks to purchase goodies that are the commodities of day to day life. All the luggage, stuff and boxes cannot be held in hands, or fetch through the carts till we reach back home. We need shopping bags and hand carries to support the stuff so it can easily be driven to home. There was a time when light weight polythene shopping bags were used by people. They were the only available hand carry which people used to avail. Plastic handbags are not convenient, their handles are not reliable, they may break down in the midway, and such hand bags cannot support excessive stuff inside them, they can easily be ruptured and tore apart. Therefore they are not recommended. Besides this you can choose card shopping bags because they are those art card hand carries that cannot be tattered or burst no matter how much the weight pulls them down and loose. 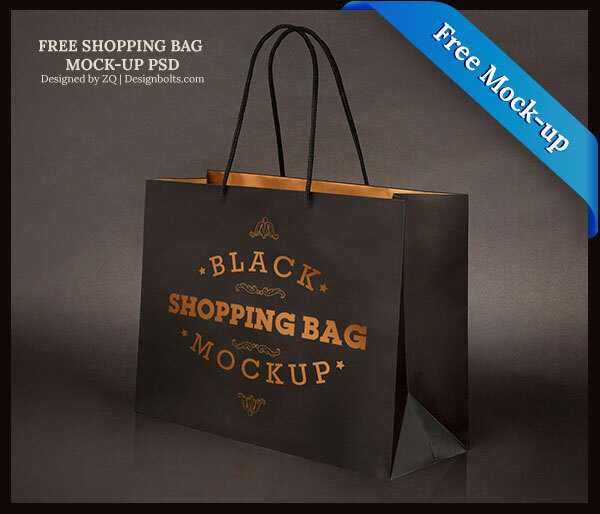 Today I am presenting before you free black shopping bag Mock-up PSD file. If you are demanded by your client to design a shopping bag then you should look up to make reliable art card shopping bag, keep certain elements in your minds while designing the shopping hand carry, that it should be simple, beautiful and appealing. The quality should not be compromised. 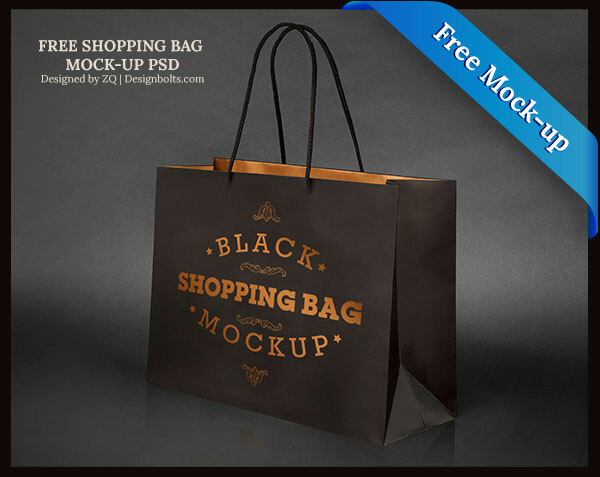 Simply insert in your own design of the shopping bag in to the Mockup PSD to present it before your client that how would it look in the tangible and actual form. I am sure you will like it. Stay hooked for more such free to use Mockup PSD’s in future as well. please how can i download this mock up?